We glued and clamped the carpet on the center support beam first. 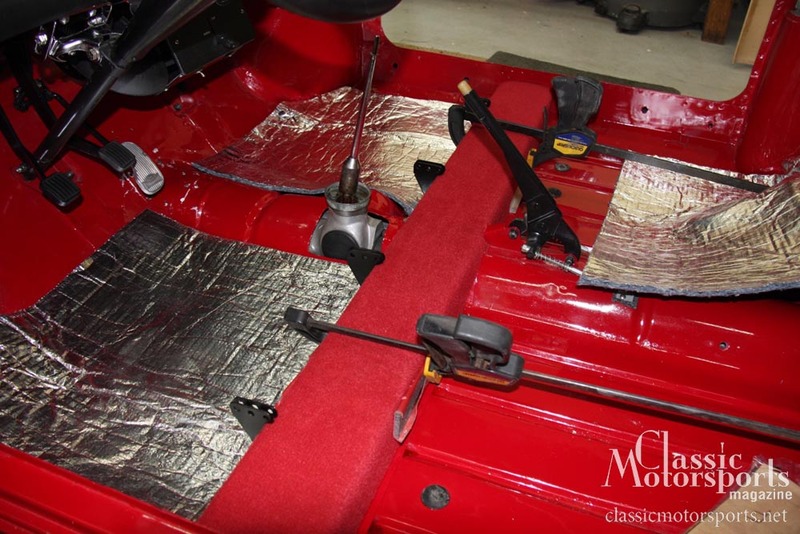 The we installed the Quiet Ride sound deadening. The finished product looks pretty fantastic. 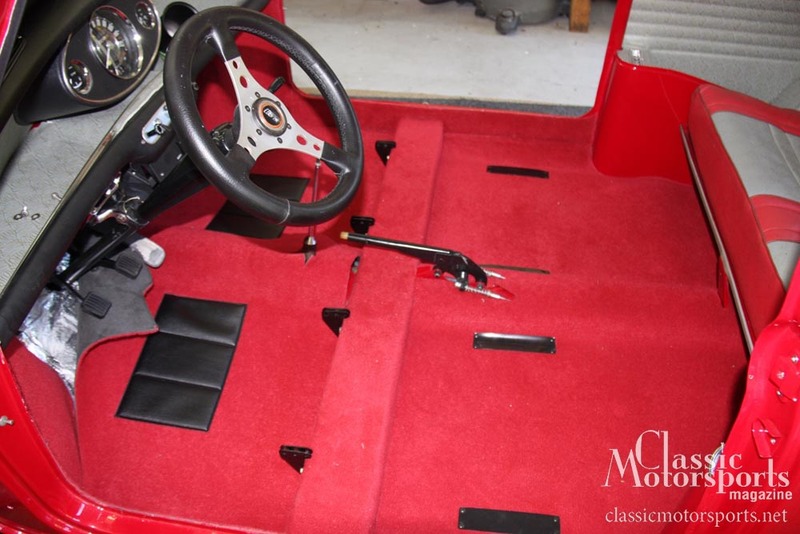 The next to-do item on our project Mini Cooper S was installing the carpet. A stock Mini Cooper had a rather flimsy, felt-like carpet, and Mini Mania sells a kit that duplicates the original carpet quite well. This carpet snaps down to the floor. Our floors were still original enough that our snaps were still in place. Installation is quite straightforward, but there are quite a few pieces to be installed. 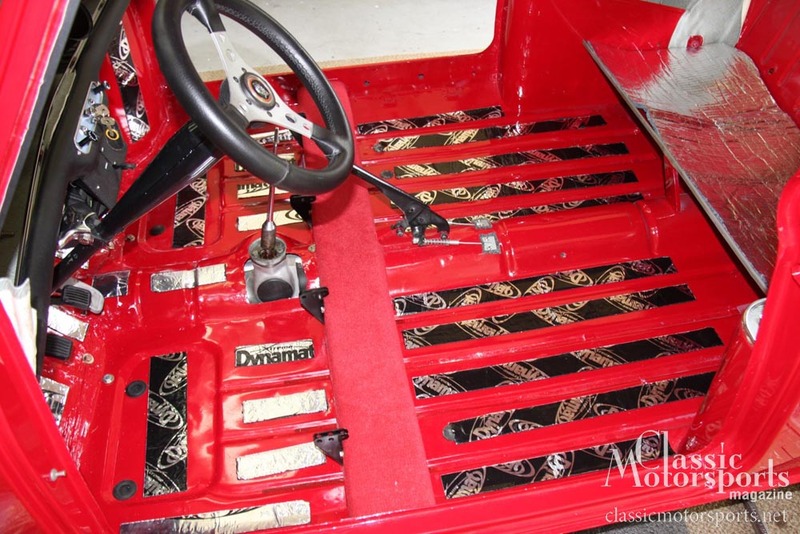 The firewall, inner front fender wells, inner rocker panels, under the rear seat and tunnel all get carpeted. There is also a piece that we glued down over the seat rail support beam that goes across the car. We installed Quiet Ride insulation underneath much of this carpet kit. A good rug really ties the room together. ...and a Mirrored wall makes it look much larger, Lol. Could always just go with a simple comb over. And I thought this would be a old Ford transmission thread. Nice carpet can make a quick refresh look like nut and bolt restore. Woody wrote: A good rug really ties the room together. I'm glad someone was here to post this as a first response. It restores my faith. It could have been about toupees. No offensive to any of you who wear one. That looks really nice and I like the red compared to the black in my car. Is there a rubber gaiter/seal over the shifter? My car has big sheets of 1/2" carpet insulation under the carpet, but there's still a ton of noise coming through the firewalls (front and rear).